Biography of Satyendra Nath Bose (1894-1974) - Robolab Technologies Pvt. 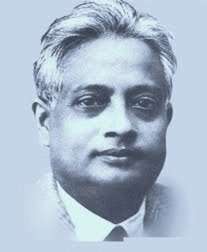 Ltd.
Satyendra Nath Bose was a Bengali Indian physicist, specializing in mathematical physics. He was well-known for his work “Quantum mechanics” in the early 1920s, providing the foundation for Bose-Einstein statistics and the theory of the Bose-Einstein condensate. He was born on January 1, 1894 in Calcutta. He was the eldest son of Surendranath and Amodini Devi. His father was employed in the Engineering Department of the East India Railway. He knew many languages and also could play Esraj (a musical instrument similar to violin) very well. In 1956, when he was retired from Calcutta University he was appointed as vice chancellor of Viswa-Bharati University, Shantiniketan. After two year he was honoured with the post of national professor. He was awarded India’s second highest civilian award, the Padma Vibhushan in 1954 by Government of India. He left for heavenly abode on 4 February 1974.